"How do I kill thee, let me count the ways." CineMaven has been sitting on her couch dreaming of homicide and wedded bliss. On Monday, July 24th click HERE for the contributions to the blogathon with the inspiring title of 'TILL DEATH US DO PART. My contribution is a look at The Stranger and it is full of spoilers. Mary Longstreet Rankin: "In Harper there's nothing to be afraid of." 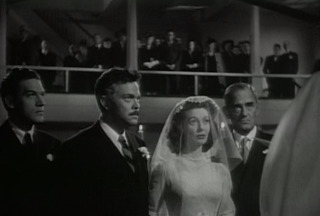 The post-war thriller 1946s The Stranger presents us with happy newlywed bride Mary Longstreet played by Loretta Young. Mary transforms throughout the film from an infatuated wife to a victim of psychological horror to a hunter. Director and star Orson Welles worked with familiar and creative personnel in fashioning this story of what lies beneath the surface of a pretty little world and a pretty little marriage. 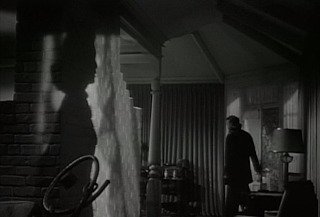 Production designer Perry Ferguson, art designer Albert S. D'Agostino and cinematographer Russell Metty had collaborated with director Orson Welles in earlier films, Citizen Kane and Journey Into Fear, and here they created a charming setting for their thriller. Anthony Veiller wrote the screenplay, the same year as his Oscar nominated work on The Killers. The town of Harper with its welcoming town square, historic church and school buildings is picture perfect. The homes, from simple to grand, have a roomy and lived-in feel. Though filmed in black and white, one can "see" the autumn colours as they feel the briskness in the icy breeze. The centerpiece of the town and the film. The world is looking up in 1946, up and away from the war that ravaged much of the world, physically and emotionally. The picturesque and quaint town of Harper, Connecticut is a quiet, out-of-the-way spot with antiques and a popular Boy's School. Certainly, it is not a place where one would expect to find an escaped Nazi awaiting the return of the new order. Perhaps a few years earlier those quaint Bavarian villages didn't seem like places where fascism would burgeon. 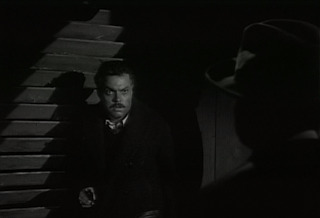 Welles use of close-ups in The Stranger highlights emotional tension, and his artistic shadow tableau heighten the sense of secrecy that permeates the story. Composer Bronislau Kaper's score swirls in partnership with the confusion of characters and motives. Mr. Wilson makes himself at home. The friendly drug store with its eccentric proprietor Mr. Potter played by big old Billy House gives the feel of visiting family with customers helping themselves and trading gossip. Although, the way Mr. Potter keeps to his seat while bossing his old, rickety assistant Mr. Peabody played by Pietro Sosso makes one wonder about small scale dictators. 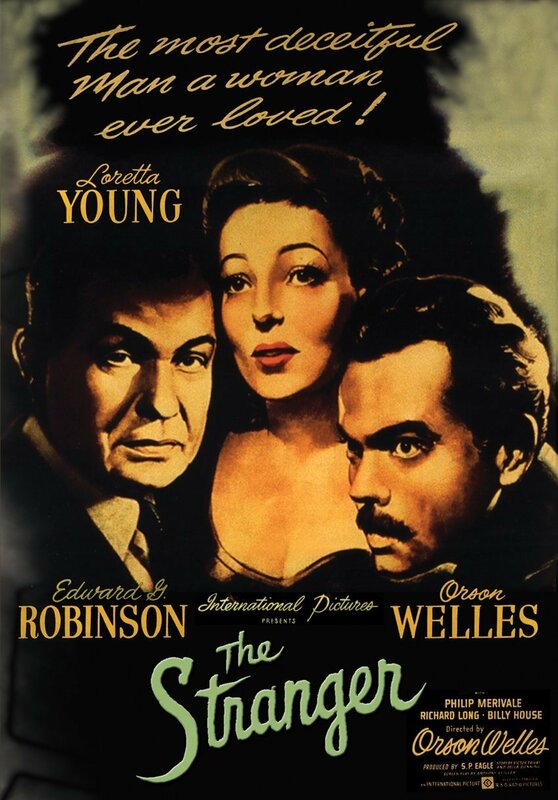 A newcomer to Harper, Mr. Wilson played by Edward G. Robinson, finds the store a good base of operations for both his antique business cover and his assignment for the Allied Crime Commission. Mr. Wilson is a hunter of Nazis, one particular Nazi called Franz Kindler. 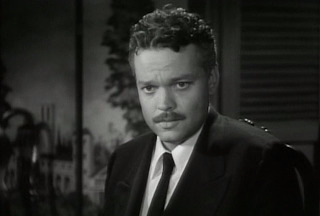 Prior to Mr. Wilson's arrival, the newest citizen of Harper was Professor Charles Rankin, played by Orson Welles. He came to town shortly after the war. The history professor with the cultured manner and voice soon becomes the affianced of Mary Longstreet, a popular local girl and daughter of a liberal Supreme Court Justice, Adam Longstreet played by Philip Merivale. Richard Long plays Mary's younger brother Noah who mistrusts Professor Rankin. However, love for a sister means at least pretending to accept a brother-in-law. On the day of the wedding Mary is hanging curtains in their new home when a strange, little man pays a call. The man with the haunted look and the foreign accent is most anxious to see Professor Rankin. Instead of waiting, he rushes to meet the teacher on his way from school. He is rushing to his death. This strange little man is Conrad Meineke played by Konstantin Shayne, and he was second in command to a German death camp mastermind, Franz Kindler. Herr Kindler has found the perfect disguise to await the expected rise of Nazism, as Charles Rankin. Meineke's presence will destroy Kindler's cover. 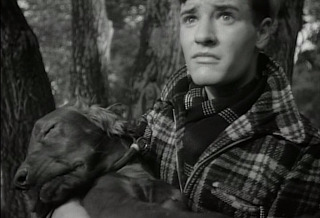 Kindler murders his old friend and buries the body in the woods behind the school. Charles' shadow looms large in Mary's life. Mary and Charles return a week later from their honeymoon to set up housekeeping and enjoy a dinner with the Longstreet family and guests. The guests are family friend and local doctor Dr. Lawrence played by Byron Keith, and Mr. Wilson. Charles Rankin: "But Marx wasn't German. Marx was a Jew." Mary's post-war idyll should be filled with nothing beyond setting up housekeeping with the help of Sara, the Longstreet housekeeper played by Martha Wentworth, and getting to know her new husband. Yet Mary is plagued by nightmares about the strange little man who appeared and disappeared so suddenly and mysteriously. Charles concocts a story to explain away the visit. It is a terrible and sad story, and Mary believes it. Oddly, Charles has consigned Mary's beloved retriever, Red, to the basement after a lifetime of freedom. Charles claims right of decision as man of the house. This has become necessary to keep the inquisitive canine from following his instincts and digging up the grave in the woods. Mary begins to feel uneasy in her new life. The suspicious Noah has been enlisted to assist Mr. Wilson's investigation, and the death by poison of Red indicates that Rankin/Kindler is becoming desperate. Backtracking the trail of the poisoned animal leads back to the grave. It is a cause celebre among the citizens of Harper - a real life mystery! Charles must create yet another story to placate Mary's fears. He confesses to murder, placing Meineke in the role of a blackmailer, drawing her into a need to protect her beloved husband. Mary is startled by Charles' strange and shocking behavior. Fearing for Mary's safety, Wilson decides it is time to break the truth to the newlywed and he does so with the assistance of her father and graphic film of the death camps. It is too much for a devoted wife to bear; to accept she has made such a horrendous choice. Mary spills all she has been told to Charles. She declares her steadfast belief and loyalty which Charles accepts. However, in his acceptance, Charles does not even bother denying the charges. Life carries on with a faculty tea for 28 guests at the home of the Rankins. 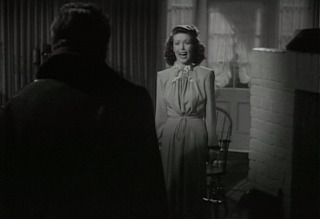 The pressure is too great for Mary as she tries to behave naturally, especially when faced with the guest Wilson, and the gossip surrounding the discovery of the body in the woods. Mary is at the breaking point and, ironically, so is our Nazi. Like Meineke, Mary must be eliminated if Kindler is to be safe and Mary's death must look like an accident. 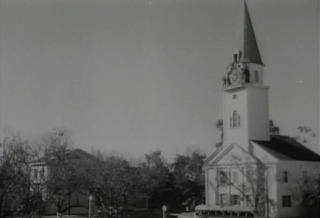 Rankin's obsession with the ornate mechanical clock in the church tower in the middle of town is almost a joke among the townfolk. The 16th century marvel features iron statues of angels armed with swords which encircle the tower on the hour. The clock hasn't worked for years, but the maniac Rankin spends much needed time on the machine as it helps him remain calm and focused. It is such an expected habit for Rankin to be at the tower that Mary thinks nothing of his asking her to meet him there, and that it is important. Rankin will not be in the tower. Mary will fall from a sabotaged ladder in a tragic accident. The housekeeper Sara has been made aware of the dire situation and fakes an illness to keep Mary from leaving the house. Mary innocently asks Noah to keep the meeting for her, and Noah wisely brings Mr. Wilson with him to the tower. Mary's shadow looms large in Charles' life. The broken rung of the ladder was almost fatal for Mr. Wilson. Meticulously setting up his alibi, it is an understatement to say that Charles was surprised to return home to find his loving Mary among the living. He cracks! She is explaining about Sara's attack and Noah when Charles tells her that Noah's blood is on her hands. The scales fall from her eyes suddenly and violently. Mary is magnificent in their confrontation. Mary: "Kill me. Kill me, I want you to. I couldn't face life knowing what I've been to you and what I've done to Noah. But when you kill me don't put your hands on me! Here, use this!" 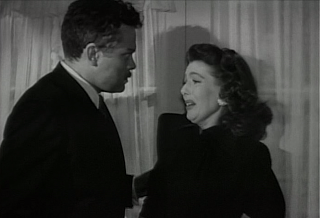 Mary tosses a fireplace poker at him, and Rankin/Kindler rushes out the back door as Wilson and the police arrive. His safe place becomes the instrument of Franz Kindler's doom. Where would you be hiding were you the fanatic Kindler? Indeed, he has retreated to the dubious comfort of the clock tower and that is where Mary seeks him out to destroy the monster who came into her life. Suspecting what was in Mary's mind, Mr. Wilson is there as well to confront the unrepentant zealot. Kindler is brought down by hubris, by official justice in the personification of Wilson, and emotional retribution from the woman he used. It is reported in various sources that Welles had wanted to cast his favourite actress Aggie Moorehead as the crime commission investigator, but a woman in that position was too much for Hollywood at that time. A most interesting film it would have made, but a most interesting film it is with this cast intact. Billy House as Mr. Potter is a sedentary salesman: "All your needs are on our shelves. Just look around and help yourselves." Yet he still had the bluff of his The Egg and I character: "Best friend the farmer's wife ever had. Smiling Billy Reed. Whatever you need see Billy Reed, that's me. I saw this one. It was pretty good. 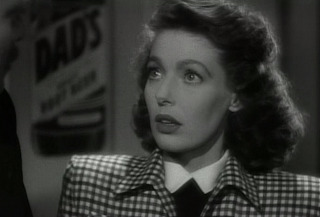 I think this might have been the first Loretta Young I ever saw. I could see it being remade, substituting terrorists for Nazis. I like your idea. It would work very well in a contemporary setting. Put your imagination to work on it in your spare time. 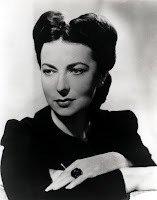 Ooh – Agnes Moorehead as the investigator would have been FABULOUS! I like that Orson Welles wanted to do it, even if it didn't work out in the end. I like that you pointed out the change in Mary's character during the film. It's quite a transformation, no? By coincidence, I found this movie in my DVD collection the other day and set it aside to watch soon. Now that I've read your thoughts, I'll be watching it VERY soon! I think I know what movies are in my collection, but every once in a while I discover something I've forgotten I bought or received. It's a nice treat. We all deserve a nice treat once in a while. Your treat will be the return trip to Harper. 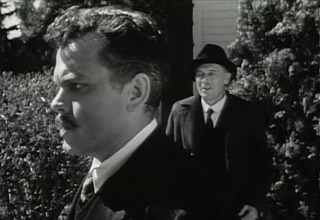 Thanks for writing about one of Welles' often under-rated (but quite effective and well-made) thrillers. Great point about the use of close-ups in the film. It's interesting to compare Edward G. Robinson's character here with his insightful claims adjuster from Double Indemnity. Both are men who are keenly interested in justice, but with different personalities & styles of getting at the truth. The Stranger is one of those movies that will make me sit and watch no matter at what point I may come into it. It was fun to explore it more deeply to determine why it grabs me. Edward G. Robinson is so often the class in any project. Comparing Wilson to Keyes is one way to judge his outstanding abilities. I saw this for the first time a couple of years ago in a theater and have wondered since then why it doesn't get more attention. I love the look of the movie as well as the performances and compelling story. Absolutely wonderful choice for the 'TILL DEATH event made even better by your superb write-up. This is a movie that always entrances me. Embarrassing story: Gavin was about six years old. The rest of us were watching The Stranger in the basement rec room. Knock on the door. Neighbour wonders if we realize Gavin is hanging out the bathroom window (bungalow) singing "Out There" from "The Hunchback of Notre Dame". Um, we were watching Eddie chase Nazis. Um, my isn't Gavin inventive. Um, get out of the window!! A wonderful choice! 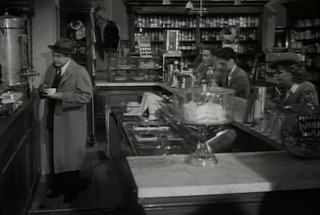 For some reason, THE STRANGER is often overloooked in discussions of Welles' best film. It holds up extremely well and I love the setting. Welles knack for story telling could not be held back in any project. The setting is a major draw to keeping us spellbound by this movie. I bought a boxed set of film noir movies that has this one on it several years ago. Still haven't watched it. Now I wonder why... Good review. Well, you better get around to that, my friend. Although, it is nice to have that "new" movie always waiting for you. Another interesting thing about this film is how it is yet another example of Welles losing control to his Hollywood producers. As James Naremore points out, about 30 minutes were cut from the film. The film was supposed to be a flashback structure (like almost all his other narrative films!) with a very different opening, and there was an extended South American sequence as well. As Naremore puts it, THE STRANGER "...is Welles's most conventional movie; but if we were able to see it in its long version that judgment might need qualification." I would be fascinated to see the original intent. As is, it is a most engrossing thriller. The mind aches to see it as planned, and with Aggie in the cast. Agnes Moorehead in Ed G's role would have been FANTASTIC. Too bad Hollywood couldn't handle it. I really enjoyed your review of this film that I liked so much. We always have a good time when we get together and talk about our movies. I love this movie, and like you I always get sucked into it when it's on. I did not know that Agnes Moorehead could have been chosen for the investigator! Much as I love Edward G., that would have been a treat. Welles can't help himself, he never created anything boring. In a perfect world, or let's say a perfect hereafter where creative minds still blossom, perhaps we'll get the chance to see such a thing. There's that line in It's a Wonderful Life where Clarence tells George he should see the new one Mark Twain is working on. I find that comforting.